My mum liked the crocodile stitch purse I made and asked for me to make her one, so of course I did! And its perfect timing too, because in Australia we celebrate Mother's Day on the second Sunday in May. This is my very first attempt at lining a crochet bag, and I must say I really enjoyed doing it, it turned out surprisingly well. I'm pretty sure I'll be doing this again for other crochet bags I make! Thankyou so much to future girl for showing me how to line a crochet bag. She has an excellent tutorial on her blog which explained clearly what I had to do. She has helped me make something really polished for my mum this mother's day. Besides the lining, this small purse is very similar to another one I made. 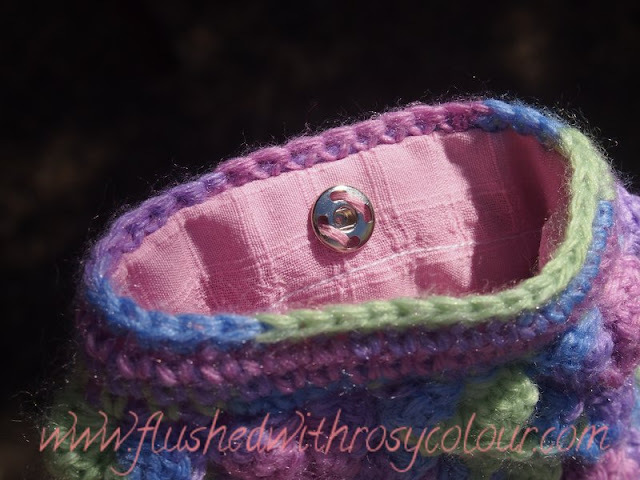 Both use the same variegated acrylic from the Wangaratta Woollen Mill and a 3.5mm hook. 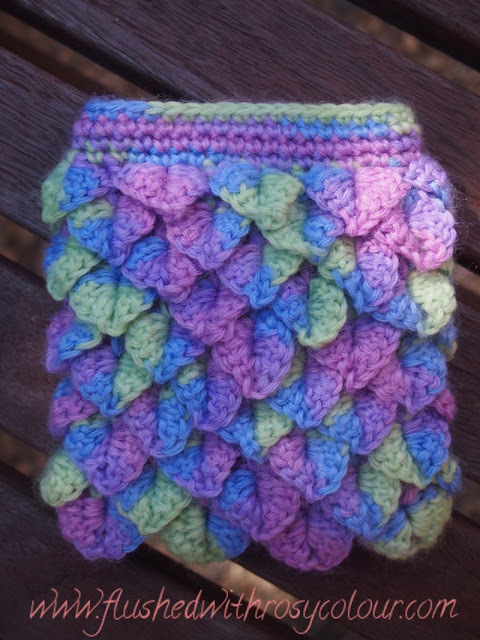 I revised how to do the crocodile stitch by watching again the Art of Crochet video by Teresa. I remembered to add 2 ch to make each scale pointy. I'm fairly confident my mum will like this! Happy Mother's Day, mum! What a sweet, thoughtful gift. Bet she'll adore it!